This book is a reworked update of the original paperback book released in 1993 and based on the original tape series and workbook first released in 1983. 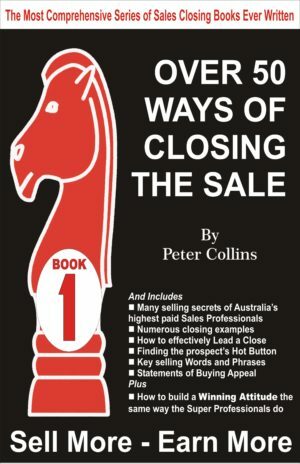 Both were considered exceptional sellers for Australian business books. In fact an Amazon copy of the Over 50 Ways of Closing the Sale paperback being sold on ebay was offered to buyers for in excess of UK 80 pounds a copy (possibly around US $150 and AUD $200) in mid 2015. The same book sold for $19.95 for each of the 3 editions in Australia between 1993 and 1995. There have been some interesting editions and updates that have brought the original book into line with the other six now available for sale in 2015. This book is a reworked update of the original paperback book released in 1993 and based on the original tape series and workbook first released in 1983. 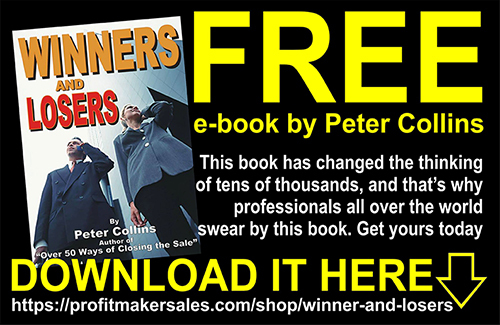 Both were considered exceptional sellers for Australian business books. In fact an Amazon copy of the Over 50 Ways of Closing the Sale paperback being sold on ebay was offered to buyers for in excess of UK 80 pounds a copy (possibly around US $150 and AUD $200) in mid 2015. 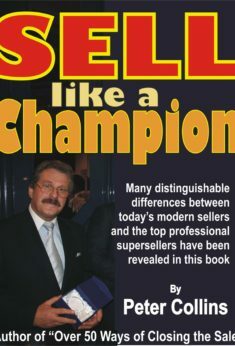 The same book sold for $19.95 for 3 editions in Australia between 1993 and 1995. So then What is the Selling Process? * 03 Role Play – Selling Milkshakes. Buyer 3 – The Fear of not owning something buyer. Category 1 – The Untidy Desk. Category 2 – The Squeaky Clean Desk. Category 3 – The Not Too Tidy, Not Too Untidy Desk. The Ben Franklin Closing Role Play detailed Step-by-Step. The Ben Franklin Close Overview. The Ben Franklin Close Recap . * 08 Role Play – The Card Trick.`. C – Do Not Be Commission Driven. # 33 THE MONEY CLOSE . Here are some other Points of Interest to take into account . The Closing process starts when you make your first contact. Dirty shoes and Unruly Hair. * 18 Role Play – Four Action Close Applications. * 19 Role Play – Action Close Danger Points. Step 7. 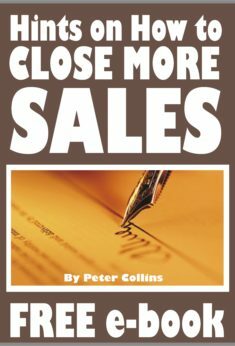 Close the Sale. # 48 I WANT TO THINK IT OVER . * 22 Role Play – The Death Pause Interview. 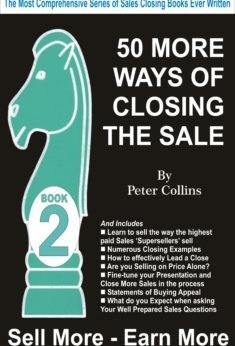 The Greatest Desire among Salespeople is to Close More Sales.